Monitor speakers are a piece of studio gear that many of us live with for years, hesitant to make even the slightest bit of change where they are concerned. We really learn the sound of our monitors, and this impacts how we dial in levels, balance, EQ, and more. Knowing instinctively what sounds and frequencies your speakers mask or accentuate within the context of a mix simply helps you to mix better, and more efficiently. But sometimes, we find ourselves confronted by new monitor speakers that sound obviously “better” than the ones we’ve been relying on. And when we experience new monitors that help us to hear the mix better, sometimes we find that change is necessary. When KRK revealed the new V series as a replacement for their premium VXT line, we were a bit worried. You see, in the under-$1,000-per-speaker segment, we’ve held the VXT 8 as our benchmark. We love the VXT speakers, and despite reviewing numerous excellent monitor speakers that target professional and semi-professional project studios, none have managed to eclipse the VXT 8 as our overall favorite sounding two-way, near-field monitor speaker. Until now. With the next-generation V8, KRK has kept all that was great about the VXT, but made a few subtle changes that retained the line’s accurate sound and sense of depth, while improving the high-frequency response with a new tweeter design, increased the maximum SPL, and they even threw in some additional features to help tune the speakers more easily to your room. Let us be very clear up front: if all you’ve ever experienced is KRK’s popular entry line, Rokit, you don’t know what you’re in for with the V series. While the Rokit line serves young artists and the budget-constrained hobbyist just fine (and truth be told, more than a few commercial releases were mixed on them), the V and VXT speakers are an order of magnitude better. To our ears, there simply is no comparison between the two lines save for KRK’s signature yellow speaker cones, which is not to say that the Rokits are bad, but simply that whatever you think of them, the VXT and new V series are significantly better. We were also pleasantly surprised by the diminutive V4 monitor speakers. Although you can hardly compare a 4” monitor speaker to an 8” speaker, KRK did a respectable job of preserving the overall vibe of the V-series sound and spatial presence and stuffing it into a more compact package. The V-series monitor speakers are two-way, nearfield monitors, featuring an eight-inch or four-inch, woven Kevlar woofer, and a one-inch, Kevlar dome tweeter. The VXT line used a silk dome Ferrite tweeter, and this particular design change proves to be the most significant, as it both changes the specs as well as the sound. The rear of the monitor speakers includes an expanded range of controls vs. the previous generation for fine tuning the speaker output to best match your environment. There are 49 user selectable EQ settings, making it easy to optimize the speakers’ response to your room and placement. Besides various low and high shelf cut/boost settings, a low mid EQ setting cuts 2dB at 200Hz while a high mid EQ cuts or boosts 3.5kHz by 1dB. These settings were selected to compensate for low mids buildup when placing the speakers on the meter bridge of a large-format mixing console. Addition controls on the rear let you configure the speaker operations, such as if you want them to automatically go into a low power standby mode when not in use, or dim/turn off the illuminated KRK logos that typically indicate when the speakers are On. 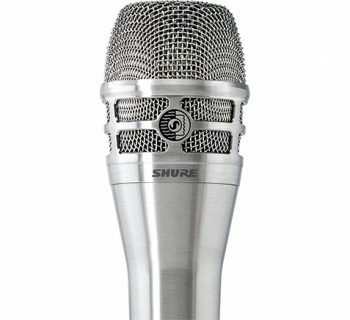 You can also adjust the combination XLR/balanced ¼” Neutrik connector for either -10 or +4dB operation. Ever wish you could protect your speakers from accidental bumps or the hands of curious children who love to push all things that look button-like (like dome tweeters)? The V series speakers include optional metal grills that install simply over the woofers and tweeters to keep them safe from all of life’s bumps and bruises. Installation of the KRK V8 and V4 speakers was a simple affair: connect either an XLR or balanced ¼” cable, plug in the power cables, and tweak the rear-panel settings to taste. With so many settings to adjust for optimal use in our studio, it was refreshing to find an extensive list of all of the settings and options printed directly on the rear of the monitors—no trip to the manual was necessary (though it’s still worth a read). 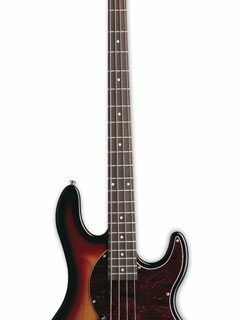 The speakers have a thin rubber pad permanently glued to their base which provides for some minor decoupling from your studio furniture as well as providing more grip than you would otherwise get from the smooth exterior finish. In our main studio, we placed the V8 speakers on the same monitor stands that we used with our VXT 8, atop some IsoAcoustic ISO-L8R200 stands for optimal decoupling from our environment, while in our compact home studio, we placed the V4 speakers on top of a set of Auralex MoPADs to decouple them from our tabletop. Tip: By default, the monitors are shipped set to -10dB operation, but we recommend (as does KRK) that you set this to +4dB for greater dynamic range and more headroom. Just as with the VXT speakers that came before, the new V series speakers offer a large sweet spot for group listening, and the same immersive depth to the sound floor that we fell in love with previously. We also found the speakers extremely non-fatiguing for mixing, even more so than with the VXT 8s. A few improvements over the VXT line make these even easier to work with. First and foremost, the new speaker enclosures have lost their egg shape, and the flat sides enable you to easily orient the speakers in a horizontal layout if desired. VXT Tip: If you want to try a horizontal layout with your VXT speakers, get a set of IsoAcoustics speaker decoupling stands, which will cradle your rounded speakers at four contact points, not to mention improve their overall sound. The next improvement was more subtle: the KRK logos can be illuminated more brightly than on the VXT speakers. In bright lighting, we often had a difficult time with our VXT speakers telling if they were On or not at a glance. With more extensive sound-sculpting options than before on the rear—and other subtle changes, KRK did an excellent job of refining the product without altering its essence. There is a presence to the sound of the VXT speakers that is rarely if ever captured by other comparable speakers, and that same immersive sound stage is present in the new V series. Listeners in our studio often marveled at the immersive, three-dimensional sound produced by our VXT 8s, and that same feeling holds true in the new V8s. But yet… there’s a difference to be heard. 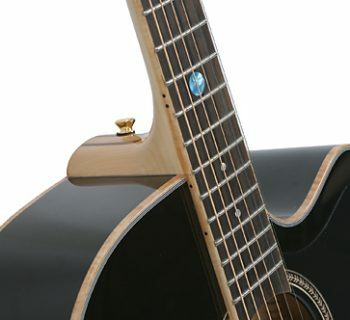 The new Kevlar tweeters make a real change to the sound, replacing an overly bright top with a smooth and clear top. We’ve been evaluating a number of monitor speakers lately with ribbon and AMT tweeter designs, and found that the new V8s exhibit a tonal response similar to those: warmth and clarity without any abrasiveness. Low end from the V8 speakers, sonically indistinguishable from the VXT 8, remains fantastic, with plenty of depth and punch. Mixing pop and rock on these eight-inch woofers really minimizes or eliminates the need for a subwoofer (we don’t bother), though hip hop and rap mixers will undoubtedly choose to pair a large sub with these. The new power amp enables louder listening, but what is most impressive about the V8s is that they remain beautifully balanced when the volume is turned down. This is the one area where the V4 speakers disappointed us: at low volume, there is an obvious drop-off in low frequency response that anyone can hear. But on the flip side, the V4 speakers pack a lot of punch, and we were very impressed by the overall sound being reproduced from such small speakers. The important thing about the V4 speakers is that they have a familiar sound that relates well to the V8, making it easy for us to do basic tracking and mix work at home, then bring our sessions back to the main studio for the serious detail work on the V8s. We didn’t test them, but KRK has a six-inch version, the new V6, that slots in between the two, and if you’ve got enough space in your smaller studio to accommodate them, we’d pick those over the V4 simply for the expanded low-end response. 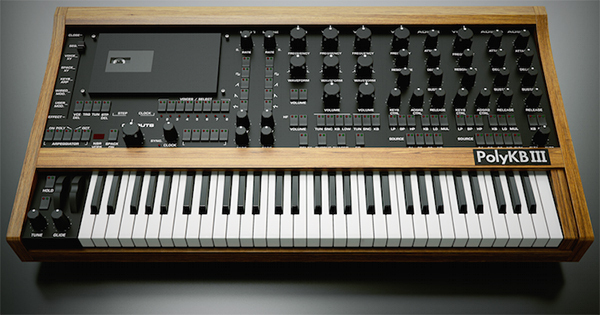 Obviously, adding a subwoofer to the V4s would improve their functionality as serious music mix tools given that the smaller speakers lack a lot of low-end information present in the V8. As a secondary set of listening speakers, though, or for mixing in a confined space such as a mobile broadcast truck/studio (or a Manhattan studio apartment), or even used in personal keyboard rig monitoring, the V4 speakers have plenty of application aside from your professional project studio mix desk. But back to the main event: the V8. With great sonic clarity across the spectrum, strong low-end reproduction, a non-fatiguing sound, and a great sense of depth and space, we are extremely happy with the new and improved KRK V-series speakers. The V8s will probably become our new reference platform in the crowded, under-$1,000, nearfield monitor space. The V series user’s manual does a great job both explaining the features of the speakers as well as providing plenty of useful guidance related to optimal speaker positioning. The KRK V8 (MSRP $999) sells for $799 MAP (each). 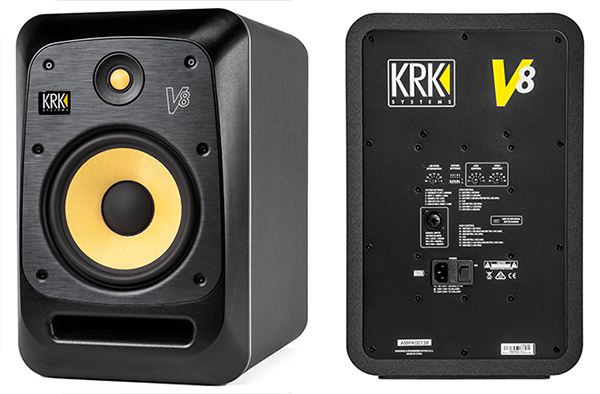 The KRK V4 (MSRP $599) sells for $399 MAP (each). If you’re shopping for full-range monitor speakers to serve as the primary mixing speakers in your recording/project studio, you can’t go wrong with the KRK V8s. These speakers deliver great sounding results at a very competitive price. And while we personally wouldn’t mix records on four-inch speakers, we found plenty of use for the V4s in our home studio space, and having an overall sound that matched our studio speakers made for more effective remote work. Whether the V8 or V4 is being considered, these monitor speakers provide a better value than most similar size/configuration speakers currently on the market. But it’s not strictly about the price. In terms of actual performance, these speakers—the V8s in particular, simply sound better than the competition. KRK V8 = 3.9 Stars, which earns it a WIHO Award!